Now that you have your carnitas filling ready to go, it is time to prepare the salsa, the masa, and the corn husks. So let’s wrap this dish up, literally, so you can get your tamale on the table and chow on. 1. To prepare the tomatoes, wash and remove the stems. For the tomatillos, remove stems and the outer leaves and wash off the sticky coating. For the serrano chilies, cut off the very top of the chili and then make a slice down one side. This will give you access to the seeds, which you can simply remove by hand. Just remember to wash your hands or else whatever part of your face you touch will be en fuego. Finally, place the tomatoes, tomatillos, and serranos in a rimmed oven pan. 2. Turn on the oven broiler to low and place ingredients from step one on the top rack directly under the flame. Allow them to char on one side for 5 minutes. Turn the tomatoes, tomatillos, and serranos two more times until all the sides have had a good amount of heat (a total time of 15 minutes). 4. Peel the charred skin from the tomatoes, tomatillos, and serranos. An easy way to do this is to put them in a paper bag and rub. 5. In a large pot, heat olive oil over medium flame and add the onion and garlic. Allow the garlic to brown and the onion to become slightly transparent, stirring constantly. 6. Dice the now roasted tomatoes, tomatillos, and serranos. Add them, their roasting juices, and the diced pineapple to the pot. 6. Bring to a simmer and allow the salsa to reduce for 30-45 minutes. 7. Before using, mix in the cilantro. 1. Before getting started on your masa dough, soak your corn husks in warm water for 30 minutes to an hour. 2. Put masa flour and baking powder into a mixing bowl and slowly add in the melted butter with mixer on low to medium speed. Add in the cup of salsa. When all the ingredients are combined, the dough should have a spongy texture. Add a little more salsa or water if it is too dry. 1. Drain and dry your corn husks. If there are a few that have split or ripped, go ahead and use them to make ties for your tamales by ripping 1/4 inch width ribbons down the length of the husk. While you do not need to tie your tamales to close them, it does add pizazz to the presentation. 2. Start with the largest and most intact husks. Smooth out the husk with the narrow end facing you and spread a thin layer of the masa over the husk. 3. Place about a tablespoon of pork carnitas filling and a tablespoon of the pineapple salsa in the middle of the masa. 4. Fold the narrow end up and roll the husk from left to right, enclosing the filling. To finish, you can tie the wide end with one of your corn husk strands or you can simply leave it as it is. 5. Fill a pot with 1 cup of water and place a steamer over the water. Bring to a low boil. 6. 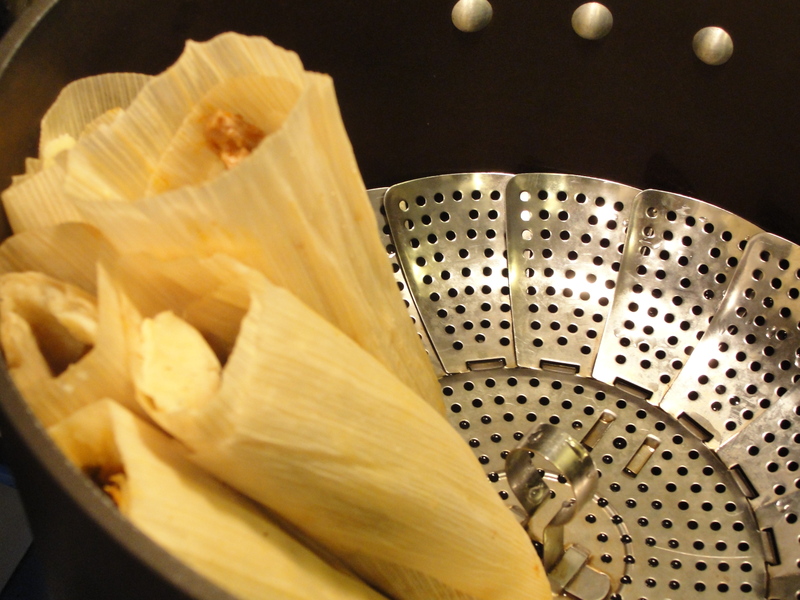 Line the steamer with the tamales (open or tied end up) and cover with a lid. Water should not touch the tamales. Steam for 30-45 minutes. 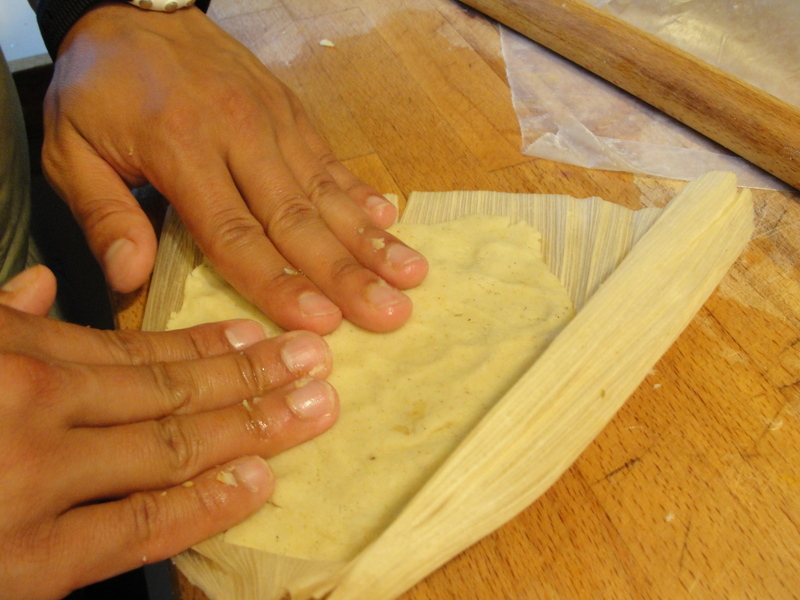 Tamales are done when the masa easily pulls away from the husk. 7. To serve, remove the husks and top with extra salsa. 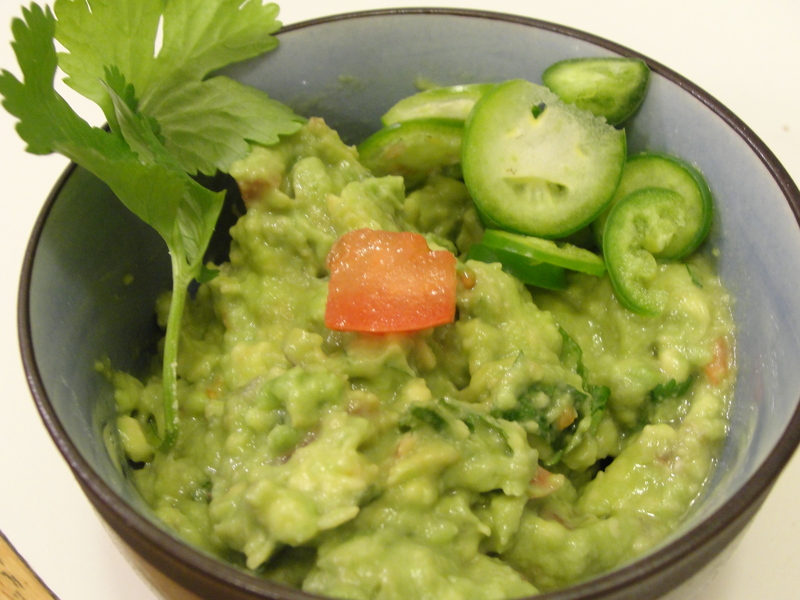 Fresh guacamole and rice make delicious accompaniments as well.